Looking for an authentic English dining experience? A newcomer to the Ashland food scene is Smithfield”™s Pub and Pies, located directly across from their sister restaurant on 2nd Street. 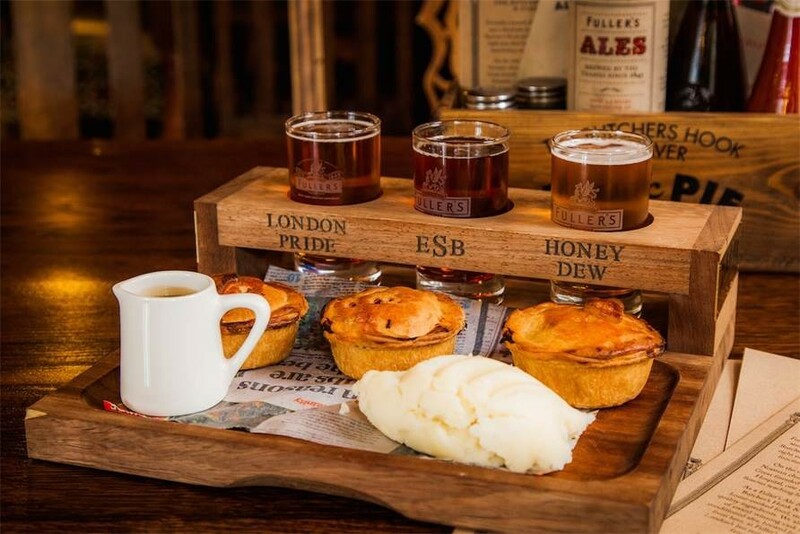 With a mix of sweet and savory pies and English charm the restaurant promises to be a popular gathering spot. Smithfield”™s Pub & Pies have cask ale, English ales on draught, Guinness on nitro, Oregon beers on draught, English ales in bottles and cans and a comparable selection of Oregon wines. Smithfield”™s Pub & Pies uses Bob Red Mill organic flour in their crusts with their blend of butter and leaf lard and all butter crusts in their vegetarian, fish and sweet pies. The meat and produce served at Smithfields Pub & Pies is sustainably and locally sourced. As a local I would highly recommend that you make plans with your friends and family and check out this gem soon!